Radio Communications is your Full Service Authorized Dealer for all Motorola, Vertex, Ram Mount, BK Technologies, and SoundOff Signal Products! After-hours service available 24-hours a day, 365-days a year. 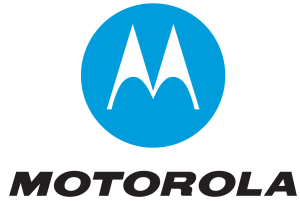 We opened for business in 1958 and have been an Authorized Motorola Service And Warranty Center since 1962. Radio Communications has an award winning service department with over 100-years of combined experience to ensure the quality and workmanship that you deserve. Our Award Winning Service includes 2-Way Radio Repair. Not only do we sell top-rated two-way radios, we offer full service on all Motorola, Vertex, and BK Technologies equipment. 95% Of Our Radio Servicing Is Done In-House which allows us to provide quick turn around. We can usually service your equipment in 24-48hrs. Installation, Maintenance, or Removal of All Emergency Vehicle Items! Police and Fire Vehicle Build-Up. Over 50 Years of Experience Upfitting Police, Fire and Public Safety Vehicles. Installers Experienced in Wiring, Fabrication and Installation that Looks Great and Performs at a High Level. Installation of Lights, Sirens, Barriers, Radar Equipment, Camera Systems, Two Way Radios, Mobile Data Terminals, AVL/GPS and Cellular Based Broad Band Equipment. Radio Communications Inc. takes great pride in providing top quality installations at competitive prices. This is why so many public service agencies trust us to provide upfitting for their fleet.